Emerging Internet Quality of Service (QoS) mechanisms are expected to enable wide spread use of real time services such as VoIP and videoconferencing. The "best effort" Internet delivery cannot be used for the new multimedia applications. New technologies and new standards are necessary to offer Quality of Service (QoS) for these multimedia applications. Therefore new communication architectures integrate mechanisms allowing guaranteed QoS services as well as high rate communications. The service level agreement with a mobile Internet user is hard to satisfy, since there may not be enough resources available in some parts of the network the mobile user is moving into. The emerging Internet QoS architectures, differentiated services and integrated services, do not consider user mobility. QoS mechanisms enforce a differentiated sharing of bandwidth among services and users. Thus, there must be mechanisms available to identify traffic flows with different QoS parameters, and to make it possible to charge the users based on requested quality. The integration of fixed and mobile wireless access into IP networks presents a cost effective and efficient way to provide seamless end-to-end connectivity and ubiquitous access in a market where the demand for mobile Internet services has grown rapidly and predicted to generate billions of dollars in revenue. This tutorial covers to the issues of QoS provisioning in heterogeneous networks and Internet access over future wireless networks as well as ATM, MPLS, DiffServ, IntServ frameworks. It discusses the characteristics of the Internet, mobility and QoS provisioning in wireless and mobile IP networks. This tutorial also covers routing, security, baseline architecture of the inter-networking protocols and end to end traffic management issues. Systems Integration and Modeling Technical Committee (2003-2009) and Chair of the Communications Software Technical Committee (2008-2010). He has been Co-Program Chair of ICC'04 and symposium Co-Chair at Globecom 2009-2007 and ICC 2009-2008. He has served as Co-Guest Editor for special issues of IEEE Communications Magazine, Networks Magazine, Wireless Communications Magazine, Telecommunications Systems and LNCS. He is senior member of the IEEE and member of many international program committees. He has organized many conferences, chaired several technical sessions and gave tutorials at major international conferences. Computer-aided design, supported by increasing computer power and better performing computational methods, lead to a more frequent use of faster and more reliable virtual tests to simulate the system functionality and the influence of uncertainties on the system behavior. Virtual tests can be profitably employed since the earlier phases of a project to avoid overdesign and establish specifications. For complex systems, failure occurrences and missfunctioning are caused by a combination of events and system variability, that can only be treated statistically. However, due to the many configurations and parameters of the system, the required computational cost of the statistical description of the system performance is excessive, and efficient methods need to be adopted, in order to avoid the traditional lengthy Monte Carlo approach. Recently, a great deal of studies and applications have been developed with the aim of deriving versatile models of complex systems, without the burden of computer storage or long simulation runs. Technologies like those based on polynomial chaos or surrogate models have proved to be effective tools for the stochastic simulation and for the representation of the physical behavior of complex devices with an intelligent selection of the minimum number of influencing parameters. This talk will provide an overview of the most recent methodologies that can be profitably exploited in design flexibility and robustness, system probability, constraints, cost, and margins of information systems. The theoretical framework is accompanied by simple EMC examples to illustrate the feasibility and the interest of uncertainty approaches in real applications. Electromagnetic Compatibility (EMC) Newsletter and a member of the IEEE Press Editorial Board. He has authored or coauthored about 200 papers in international journals and conference proceedings. 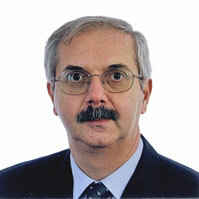 Prof. Canavero has been the Editor-in-Chief of the IEEE TRANSACTIONS ON ELECTROMAGNETIC COMPATIBILITY. He has been the Chair of the International Union of Radio Science (URSI) Commission E (Noise and Interference). He received the International Business Machines Corporation (IBM) Faculty Award for the triennium 2003–2005, the Intel Research Grant for 2008, and several Best Paper Awards and IEEE recognitions. He has been the Organizer of the Workshop on Signal Propagation on Interconnects (SPI; 2001–2003 and 2007). He is currently a member of the Editorial Boards for several scientific journals and a member of the Scientific Steering Committees of several International Conferences in the field of EMC and electrical performance of interconnects and packages. The unabated increase in the operating of electronic products and the emergence of sources of disturbances with higher frequency content (such as High Power Microwave and Ultra-Wide Band systems) have lead to the breakdown of the transmission line (TL) approximation’s basic assumptions for a number of applications. In the last decade or so, the generalization of the TL approximation to take into account high frequency effects has emerged as an important topic of study in electromagnetic compatibility. In the first part of the tutorial, we will describe the classical TL approximation with the main accent on the physical derivation of the equations and the underlying assumptions. Using simple examples, it will be shown that for the high frequencies the classical TL approximation fails. Then we derive starting from the Maxwell’s equations (using only thin-wire approximation) a system of Mixed Potential Integral (-differential) Equations (MPIE), which describes the scattered currents and potentials along the wiring system. We show that the MPIE reduces to the Transmission Line approximation for low frequencies. The derived MPIE can be written in a telegrapher’s-like pair of equations in which high frequency effects (corrections to the TL theory) are accounted for using additional source terms. This system of equation is very convenient to be solved using an efficient iterative procedure, which will be illustrated using several examples. We will also illustrate an efficient hybrid method to compute high-frequency electromagnetic field coupling to loaded finite line including lumped discontinuous. In the second part of the tutorial, we describe the so-called full-wave transmission line theory (FWTL), where the MPIE with terminal excitation and/or loading is reduced to a system of first order differential equations for the scattering currents and voltages. For the corresponding parameter matrix P, we obtain an integro-functional equation in the explicit form, which can be solved by iteration. The relatively simple expression of the first iteration yields very good results. Instead of the classical TL approximation, the parameter matrix P is complex-valued, length dependent and contains diagonal elements. Moreover, it can be shown that the non-classical elements of this matrix (diagonal elements and imaginary part of nondiagonal elements) define the radiation of the system. To illustrate the developed FWTL, we apply it to typical transmission line systems as well as radiating antenna systems. In both cases, the agreement with numerical calculations is excellent even for the parameter matrix of the first iteration. In the last part of the tutorial we outline the derivation of FWTL for multiconductor transmission lines. Sergey V. Tkachenko (SM’06) was born in Moscow, Russia, in 1958. He received the M.S. and Ph.D. degrees in mathematical and theoretical physics from the Moscow Engineering and Physics Institute, Moscow, in 1981 and 1987, respectively. From 1986 to 1989, he was a Researcher in the Department of Electromagnetic Compatibility (EMC), State Radio Research Institute, Moscow, where he was a Senior Researcher from 1989 to 2000. In 1993, for a period of eight months, he was an Invited Researcher at the Swiss Federal Institute of Technology, Lausanne, Switzerland, where, from 1996 to 1999, he worked within the framework of the European INTAS Project 94-3939 “Electromagnetic Compatibility of Interconnection Cables Subject to Interferences.” Since 2000, he has been an Research Fellow with the Institute for Fundamental Electrical Engineering and EMC, Otto-von-Guericke University,Magdeburg, Germany. His current research interests include applied electromagnetics and EMC, in particular electromagnetic field coupling to complex wiring structures and inside cavities. He has authored or coauthored about 100 scientific papers published in reviewed journals and presented at international conferences. He is EMP Fellow (2008) and three times has Best HPE Paper Award (2002-2003), (2006-2007), (2008-2009). Advances in EMC numerical modeling in last few decades has been provided by a rather rapid progress in the development of digital computers. Computational models provide the simulation of the electromagnetic behaviour of an electrical system for a rather wide variety of parameters including different initial and boundary conditions, excitation types, and various configuration of the system itself. A basic purpose of any EMC computational model is to predict a victim response to the external excitation generated by a certain EMI source. This modeling can be undertaken within a significantly shorter time than it would be necessary for building and testing the appropriate prototype via experimental procedures. In principle, the governing equations of a particular problem in differential, integral or integro-differential form can all be readily derived from the the set of four Maxwell equations. Regarding the approximation level being assumed, EMC models can be classified as circuit theory models with the concentrated electrical parameters, transmission line models using distributed parameters in which low frequency electromagnetic field coupling are taken into account and the models based on the full-wave approach taking into account radiation effects for the treatment of electromagnetic wave propagation problems. The objective of the tutorial is to present the EMC modeling approach based on integral equation formulations in the frequency and time domain (arising from the full-wave model) and related boundary element method of solution featuring the direct and indirect approach, respectively and also to cover several applications arising from practical problems. The tutorial starts with some general aspects of numerical modeling in EMC. The introductory part will outline some commonly used numerical methods. In particular Galerkin-Bubnov Indirect Boundary Element Method (GB-IBEM) used for the solution of different integral relationships will be presented in both frequency and time domain. The participants will be then introduced to the modeling of thin wire configurations from rather simple to complex geometries. This will be followed by the analysis of transmission lines (overhead and buried wires). Then, the attention will be focused on transient analysis of realistic grounding systems The tutorial ends up with some topics on human exposure to electromagnetic fields. , seven authored books and one edited book, by WIT Press, Southampton-Boston., and one book by Wiley, New Jersey. 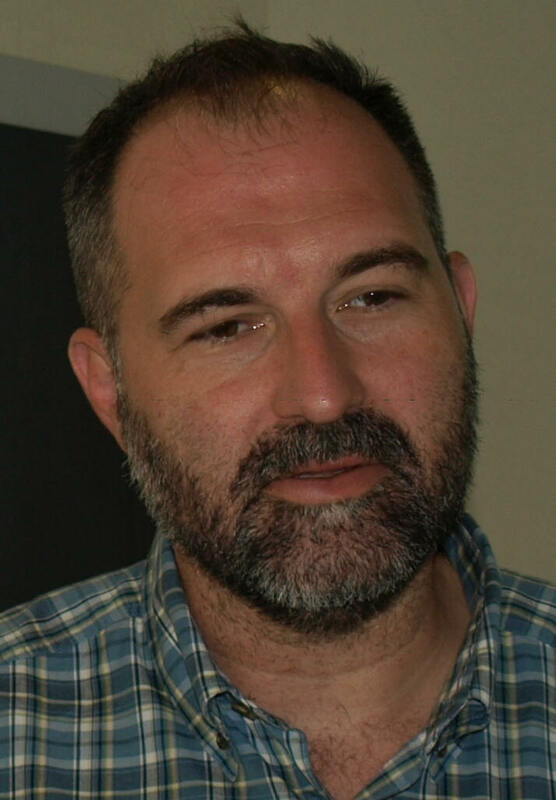 Professor Poljak is a member of IEEE, a member of the Editorial Board of the journal Engineering Analysis with Boundary Elements, and co-chairman of the WIT International Conference on Computational Methods in Electrical Engineering and Electromagnetics. He is also editor of the WIT Press Series Advances in Electrical Engineering and Electromagnetics. In June 2004, professor Poljak was awarded by the National Prize for Science. Obviously, eliciting (or clearly specifying) requirements, particularly engineering requirements, are crucial for ensuring that outcomes of engineering designs match expectations. Many projects have failed because of inadequate understanding of requirements. A systematic approach and process for specifying requirements, includes a feasibility study, requirements elicitation and analysis, requirements specification and requirements management. Elicitation of EMC requirements is of special difficulty,. once deviation from standards is required, for instance due to special electromagnetic environmental concerns or operational constraints. In such cases, uncertainty of the information accuracy, introduces a special difficulty, and requires particular processes for defining the requirements, establishing safety margins and verifying the requirements. This presentation is intended to: describe the principal requirements engineering activities and their relationships, introduce techniques for requirements elicitation and analysis, describe requirements validation and the role of requirements reviews, discuss the role of requirements management in support of other requirements engineering processes ... with particular emphasis on EMC-related requirements. How to Fail EMC in 10 Easy Lessons? An EMC Program is a "phantom program" within the main project: *Success of the EMC Program is not apparent, only its failures*... EMC design is complex, often denoted "black magic". Successful EMC design requires, therefore, resources, know-how, and especially an open minded, innovative approach. EMC design addresses a wide variety of system considerations, ranging from electrical, materials, mechanical and even software engineering. Keeping this in mind, it may even seem miraculous that EMC design actually succeeds (from time to time, anyhow). This presentation presents, in a somewhat humorist manner, how and why EMC designs could fail. Ten key points are presented which, if failure in design is the goal - they should be applied, as shown. Subsequently, an overview of the "correct" design approach is also presented, after the faults in the initial design are clearly explained.